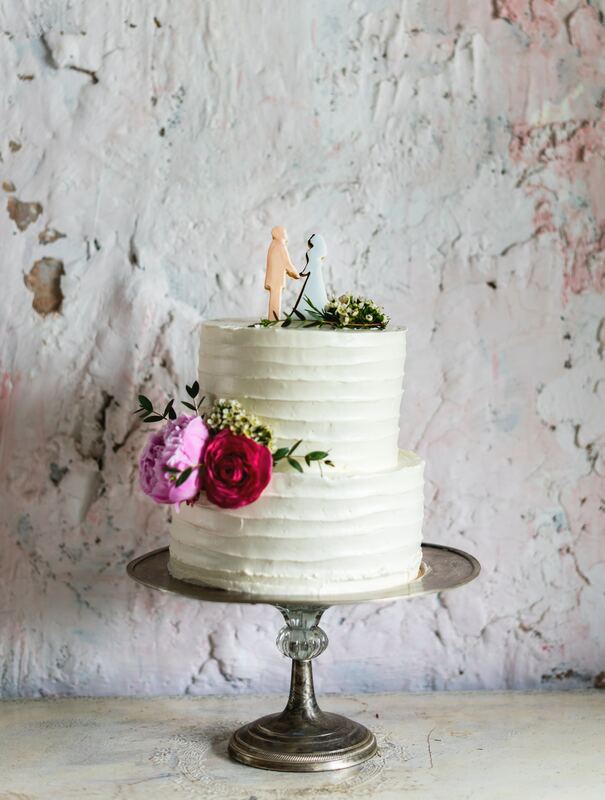 Our delicious and simple two tier vintage inspired vanilla wedding cake, is filled with a lavender buttercream and fresh strawberries.Finished off with a vanilla buttercream frosting and decorated with fresh blooms. Our delicious and simple two tier semi naked chocolate wedding cake, is filled and semi frosted with a delicious salted caramel buttercream. 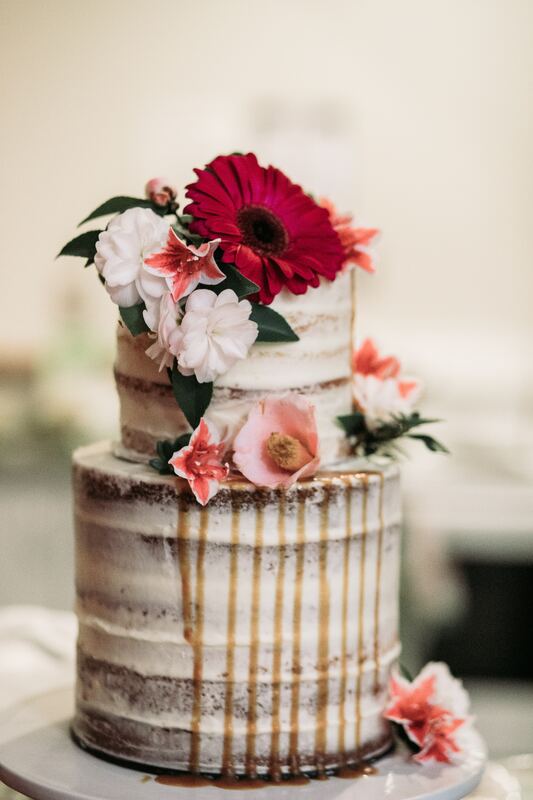 Fresh blooms and dripping caramel were used to complement the ceremony cake.